The La Parrilla mine, located in Spain, will produce tungsten and tin concentrate, which is in increasing demand. Diversified metals miner W Resources (LSE:WRES) has announced the early start of production at the La Parrilla mine in Spain. The Spanish mine will produce tungsten and tin concentrate, which is in increasing demand. 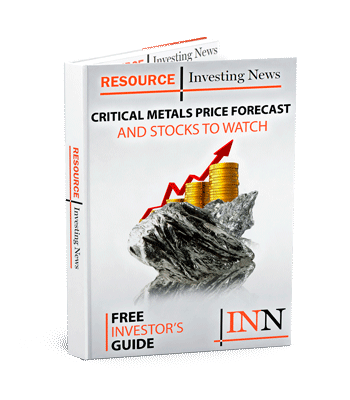 W Resources has planned a three-stage ramp-up program for the critical and industrial metals project. The company plans to work through the phases to full mine production, which is expected to commence in Q1 2019. “Given current strong tungsten and tin prices, advanced construction progress and the critical priority to execute a steady ramp-up in production from the La Parrilla plant, W has now commenced the first of a three stage tungsten and tin production program,” noted the company announcement. The first stage will include concentrate production from existing concentrator using tailings feed. This is the current stage the company is focused on, with an expected production goal of 10-15 tonnes per month (tpm) for November 2018. The first shipment is planned for December 2018. Stage 2 will see the company switch from using tailings feed to a higher grade crushed mine feed following completion of the La Parrilla crusher. The higher grade will allow for increased production towards the end of Q1 2019. The final phase, will include the commencement of production from the new large scale concentrator in Q2 2019. Following this last stage, production is estimated to hit over 200 tpm by the end of 2019. In addition to the new machinery that is being implemented at La Parrilla, there will also be several key plant design improvements. The strategic upgrades will help increase the existing plant feed capacity to 50 tonnes per hour. “The early completion of the crusher in the Q4 2018 allows us to accelerate tungsten production from La Parrilla in three decisive steps. We will then significantly lift production rates in the New Year with first crushed mine feed being fed to the existing concentrator which will in turn pave the way for production from the new large scale concentrator in Q2 2019,” added Masterman. Shares of W Resources were slightly down on Tuesday (November 20), trading at GBX 0.52.